We are past the mid-way mark in the second quarter. It’s unbelievable how fast time is flying! This week we’ll continuing using bellwork to help you begin reviewing for the finals, which begin three short days after winter break. We will do a lot of practice problems with the ActivExpressions. For Tuesday or Wednesday (as announced in class) watch and take notes on Force Podcast 15 – Kinematics Problem with Newton’s Second Law part 1 and Force Podcast 16 – Kinematics Problem with Newton’s Second Law part 2, and for the next day view and take notes on the remaining podcasts for this unit: Force Podcast 17 – Complex Problem, Force Podcast 18 – Tying Concepts Together. We’ll spend most of this week simply practicing these problems in order to deeply understand the role of force in why things move the way they do, tying together our study of kinematics and dynamics. We’ll ultimately work on assignment 5 in class followed by a quiz. All that will be left is a quick conceptual exploration of Newton’s Third Law and assignment 6, which we’ll likely do early next week. Expect a unit test the week of December 10. The experimental averages for the coefficients of friction of the materials we used in the lab follow. For the two materials in your experiment, use these values to determine percent error. 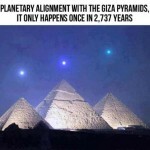 Cool Science: There is a rumor floating around the Internet about a planetary alignment over the pyramids of Giza occurring on Monday, December 3rd as in the following picture, purportedly showing Mercury, Venus, and Saturn. Sigh. Why do all of the cool Internet-y things turn out to be untrue? The planets WILL be visible in the pre-dawn skies, but not like the picture suggests. Bummer! Happy Thanksgiving!!! Because we only have two days of school next week, I’m combining these two weeks together into one post. These weeks in physics: Unless your class took a quiz over friction on Friday, you will take it on Monday. All physics classes will spend Monday and Tuesday scraping things together in an awesome friction lab. For Monday, November 26, please view Force Podcast 7 – Elastic Force, and Force Podcast 8 – Elastic Force Sample Problems. We will do practice problems in class with the ActivExpressions and then dive into assignment 3. Expect a quiz on Tuesday the 27th over elastic force. Also for Tuesday, please view the podcasts on inertia and static equilibrium: Force Podcast 9 – Inertia and Force Podcast 10 – Static Equilibrium. We will have some fun with demos in class, do a little practice with the ActivExpressions, and then do assignment 4, followed by a quiz on Wednesday or Thursday. Then things will get a bit intense when we explore Newton’s Second Law. Podcasts 11-18 cover this topic to great depth. I’ll let you know when you should watch each of these. We’ll practice a lot in class, and each class will follow a pace natural to that class. My aim is to finish Newton’s second law, visit Newton’s third law, and take a test by the end of the week of December 3rd. This week in astronomy: We are just about finished with the unit on eclipses, and I have uploaded the last podcast for this unit: Eclipses Podcast 3 – Lunar Eclipses. We will take a test over this unit on Tuesday, November 20. (Remember my policy that if you have more than two tests on the day we have a test, and you bring me signed and dated notes from the other teachers verifying that you have those tests, you can postpone my test by one day. This will mean you have to schedule to take the test on the Monday after Thanksgiving break during a lunch or study hall.) When we return from break, we will explore the solar system…not literally, but figuratively speaking. 🙂 After some preliminary basic information from me, you’ll begin a research project on a planet of your choice. Fun times ahead! COOL SCIENCE! Lot’s of fun stuff again! 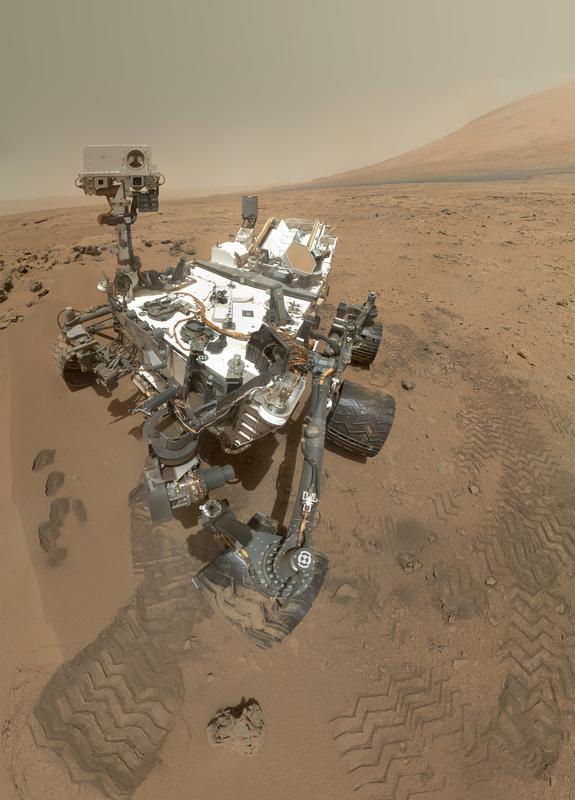 First, there’s a big NASA conference called Technology Days that’s taking place RIGHT HERE IN THE LAND OF CLEVE from November 28–30! According to the website, “this three-day event and technology showcase will bring together a broad community of stakeholders from industry, academia, and the U.S. government to engage in strategy development, partnership building, and implementation of ways to foster technology transfer and innovation.” It’s free and open to the public! That includes you! 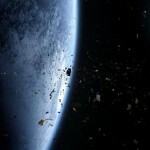 Second, outer space right around Earth is becoming a bit of a giant trash can, filled with broken bits of satellites, old rocket boosters, and other debris. The US military is asking for help from amateur astronomers in identifying trajectories of this debris so that we can try to protect our valuable equipment that’s in orbit. A shout out to Gavin for sending in this article! Finally, this has nothing directly to do with science, but I thought it might interest you. Here’s an excerpt from an article on college admissions officers checking prospective students’ social media footprints at an increasing rate, to deleterious effect: It’s no secret that college and university admissions officers run semi-frequent social media checks of prospective students, but the practice has turned increasingly dismal for students who failed, in one way or another, to exercise Facebook, Twitter, Pinterest, and YouTube caution. Admissions officers who responded to a national survey this fall said the percentage of applications that had been negatively affected by social media searches had nearly tripled, from 12 percent in 2010 to 35 percent in 2011. Nagging completed! I wish all of my students and their families a great Thanksgiving! Another great week lies ahead! This week in physics: It’s Friction Week! (That is not fiction!) Assignment 1 took us a bit longer than expected last week, which is OK because you were all doing some great work. We will finish it on Monday and then on Tuesday take a quiz over the first set of learning goals from this unit. (Note: Twelfth period is ahead – way to go! 🙂 – and will take the quiz on Monday.) By Monday be sure to have watched and taken notes on…Force Podcast 4 – Introduction to Friction, Force Podcast 5 – Static Friction, and Force Podcast 6 – Kinetic Friction. Following this we’ll do practice problems in class and assignment 2. A quiz will follow, and after that we’ll do an awesome lab on friction. Woo hoo! This week in astronomy: We will go into depth exploring the different types of solar eclipses followed by a quiz. Then we will cover lunar eclipses and will do an in-class activity. Look for a test early next week. 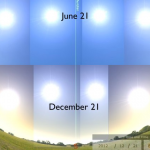 There is a new podcast posted about eclipses and eclipse seasons: Eclipses Podcast 1 – Introduction to Eclipses. REMEMBER: Your Astronomy Unit 3 – Outdoor Lab is due the day after Thanksgiving break and requires you to make multiple observations of the moon over many days. Don’t put it off, or you won’t be able to do it. 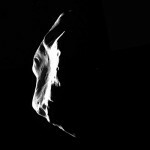 Cool Science: Again, too much good stuff to pick just one! 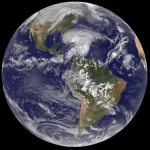 Here are some of the coolest news stories in science! 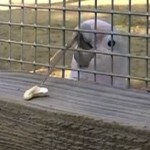 Researchers recently observed a cockatoo named Figaro suddenly make and use a tool to reach its food. Tool cute! What a week this past week! Obviously we’ve had to make adjustments due to surprise guests, a calamity day, and the ongoing power outages that so many of you endured and are continuing to endure. As discussed in class, we’ll take things on a day-by-day basis and try to be flexible when necessary. However, please DO aim to do what you are able to do. OK, I’ve made a tough decision that you will likely love (but that I don’t…) Given the fact that so many have struggled with power (or just Internet) outages and will likely continue to do so into next week, and given the fact that the lab report was already postponed once, it’s not reasonable to stick with our revised November 7 due date. However, I am concerned that if I delay it past this it will have been a month since you did the lab, and you likely will have forgotten what the lab was even about and therefore will have difficulty writing correctly. Sigh. I’m saying it. The lab report is now optional and due on November 15. This has been a difficult week. Let’s move forward. There will be plenty of opportunities to practice lab report writing. Parents who are concerned about this, please encourage your kids to write the report. It is good practice. I can make adjustments in the GBW to account for those who opt to do/not to do the lab. The unit 2 outdoor lab is due Monday. You also should be working on the unit 3 outdoor lab, which is due the day after Thanksgiving break. We will be covering solar eclipses with notes and activities, followed by a quiz. 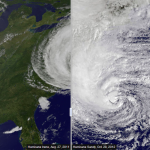 Cool science of the week: Not remotely cool, but informative nonetheless…This is a montage video from NASA satellites showing the formation of Hurricane Sandy. Finally, Daylight-Saving Time ends this weekend, which means, among other things, people will play on their phones for an extra hour overnight on Saturday. This awesome article from Wired magazine discusses the physics of DST. (Did you know there was physics to it!?!? YAY!) What’s especially cool, astronomy folks, is the author uses the Stellarium software to puntuate his points, and he talks about many things we’ve learned in class. Y-A-Y!! !